Every year OETA’s Create channel hosts a cooking challenge. Home cooks from across the country submit their best recipes and cooking videos for a chance to host their own web series on CreateTV.com. We’re proud to announce that Simi, from Oklahoma, was a finalist in the 2017 Create Cooking Challenge. Originally from India, raised in Texas, and now residing in Oklahoma, Simi connects to her past through cooking. Born to chefs and restaurateurs, she has come to appreciate food in a special way which she wishes to pass down to her children. 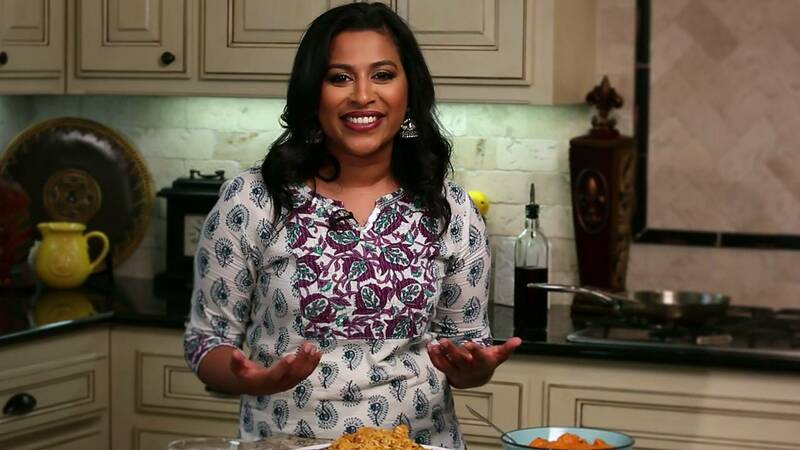 In her videos Simi breaks down the basics of Indian cuisine, making it easy to follow along at home. You can watch Simi’s video here. Do you watch OETA with a digital antenna? If so you can watch OETA Create at [Your Local OETA Channel].3. For example, if you’re in Oklahoma City, you can watch on channel 13.3 over the air. Cox subscribers can watch OETA Create on channels 113 (OKC) or 1084 (Tulsa). If you aren’t able to access Create, please reach out to your provider to request all of four OETA’s channels. See the latest from Simi on her website, SimiJohn.tv.